Adds security oriented components for use with OpenComputers, RFID Cards, MagStrip cards, Alarms and Entity Detectors. In 1.12.2-1.0-12 we were able to break each others securitydoors on our server. 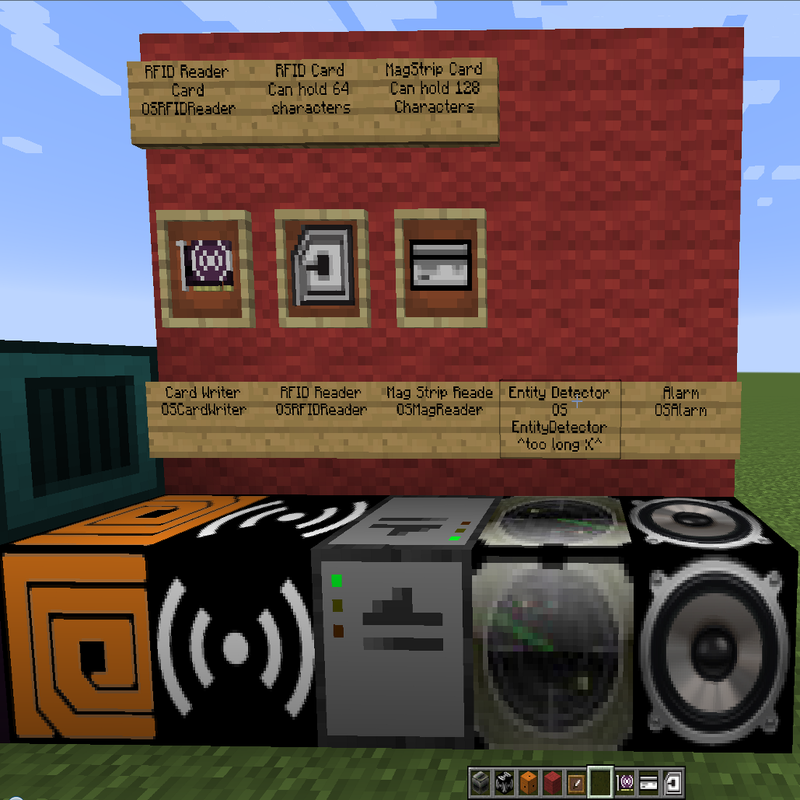 The mod is realy cool and good in combination with securitycraft because you cant bruteforce a magcard but you can give others still access with keycards. (The securitycraft Keycards can be crafted from everyone and dont have special tags so they are stupid...). Can you please make a 1.11.2 version? Hello! Does anyone here know how to wirelessly connect the door controller to a door? I want the blocks around the door to look good with the style I am going with. Is this even possible? You can right click the door controller with a block to disguise the controller as that block. Thanks for making it for 1.12.2! It is AWESOME! But there is a crash when using a mag reader! I posted the issue on GitHub! Finally for 1.12.2 ! Yay ! https://minecraft.curseforge.com/projects/openmodularturrets Might tide you over a bit. Does this mod stop other players (griefers} from mining any of the walls, base and roof of the building the Security system is placed in / area ? Newer 1.10.2 versions have a Security Terminal that allow for that, it has not been back ported to 1.7.10 yet. Um.. checked out the security terminal and even when I set the password, remove my user and enable it still nothing happens in creative or survival, I can still break stuff and open and modify things. Any pointers? The block will not stop breaking if the owner list is totally empty, this is to stop you from locking yourself out of breaking blocks. Also it doesn't stop you from interacting with blocks, just breaking.